I’ve been looking for a use of all my hardwood cut-offs I have laying around and saw this table, figuring I’d give it a shot. 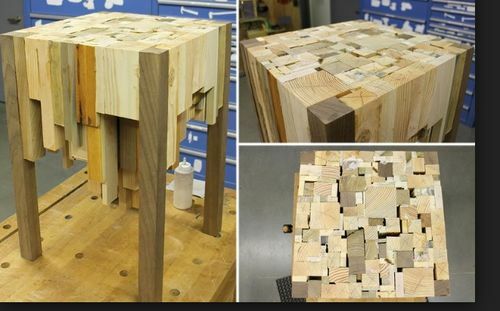 My quandry before getting trigger happy on construction is I can see how they did the borders from the video, but as they’re filling in the middle, how do you get those pieces to clamp up or press hard enough for a glue up ? It seems as though he’s simply placing them next to each other but it seems like there’d be no pressure on them even with others around being jammed in there. They’d start twisting and such. Am I missing something here ? wow. I’ve never heard of that before. Thanks.